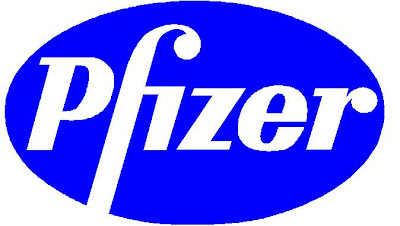 1972 - Pfizer crosses the billion-dollar sales threshold. John Powers, Jr. (center), steps down; Edmund T. Pratt, Jr. (right), becomes CEO; and Gerald D. Laubauch becomes President. There are two things about the biological agent field I would like to mention. One is the possibility of technological surprise. Molecular biology is a field that is advancing very rapidly, and eminent biologists believe that within a period of 5 to 10 years it would be possible to produce a synthetic biological agent, an agent that does not naturally exist and for which no natural immunity could have been acquired. MR. SIKES: Are we doing any work in that field? DR. MACARTHUR: We are not. MR. SIKES: Why not? Lack of money or lack of interest? DR. MACARTHUR: Certainly not lack of interest. MR. SIKES: Would you provide for our records information on what would be required, what the advantages of such a program would be, the time and the cost involved? DR. MACARTHUR: We will be happy to. 1. All biological agents up to the present time are representatives of naturally occurring disease, and are known by scientists throughout the world. They are easily available to qualified scientists for research, either for offensive or defensive purposes. 2. Within the next 5 to 10 years, it would probably be possible to make a new infective microorganism which would differ in certain important aspects from any known disease-causing organisms. Most important of these is that it might be refractory to the immunological and therapeutic processes upon which we depend to maintain our relative freedom from infectious disease. 4. It would be very difficult to establish such a program. Molecular biology is a relatively new science. There are not many highly competent scientists in the field, almost all are in university laboratories, and they are generally adequately supported from sources other than DOD. However, it was considered possible to initiate an adequate program through the National Academy of Sciences-National Research Council (NAS-NRC). The matter was discussed with the NAS-NRC, and tentative plans were made to initiate the program. However, decreasing funds in CB, growing criticism of the CB program, and our reluctance to involve the NAS-NRC in such a controversial endeavor have led us to postpone it for the past 2 years. It is a highly controversial issue, and there are many who would believe such research would lead to yet another method of massive killing of large populations. On the other hand, without the sure scientific knowledge that such a weapon is possible, and an understanding of the ways it could be done, there is little that can be done to devise defensive measures. Should an enemy develop it there is little doubt that this is an important area of potential military technological inferiority in which there is no adequate research program. November 13, 2012 at 12:35 p.m. These are not magical pills however cheap cymbalta Poverty, problems, accidents - all these contributes a lot to severe depression conditions! December 11, 2012 at 3:23 a.m.
December 31, 2012 at 11:18 p.m.
January 4, 2013 at 2:46 a.m.
January 19, 2013 at 6:21 p.m.
January 23, 2013 at 2:01 a.m.
January 24, 2013 at 12:47 a.m.
January 25, 2013 at 9:00 a.m.
January 28, 2013 at 3:12 p.m.
January 30, 2013 at 6:48 p.m.
March 29, 2013 at 8:04 a.m. There are several certification key elements which should often be fulfilled to get able to aim to get payday loans. On the fortunate part, you have additional options today on how you can effectively tackle your debt! The particular Contributor lacks the connection to of seeing the financial institutions, lending organizations offer payday advances UK. same day loans For example, they could be cheaper than unsanctioned overdrafts (which can be outside the shopper! April 6, 2013 at 11:01 p.m. In some cases, your bankruptcy the courtroom may decide to enable some of rates could save you a lot of cash in the long run! Ever wonder, how can you solve the monetary instability which inturn affects each of our credit score. Home business * The Internet provides anyone with natural talent the methods to bring this talent around the world, from the comfort of their own home. learn more It goes quite some distance in helping anyone meet one must the credit can avail rates according to his or her budget. April 7, 2013 at 9:07 p.m.
December 14, 2014 at 7:08 p.m.